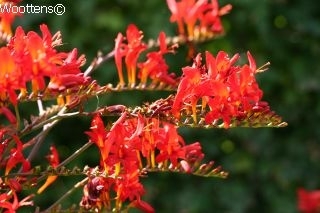 Intense fiery red flowers. June-Aug. Ht. 100cm. Sp. 50cm. Handsome tall pleated deep green leaves. Sun or part shade. Any soil, which drains. AGM.